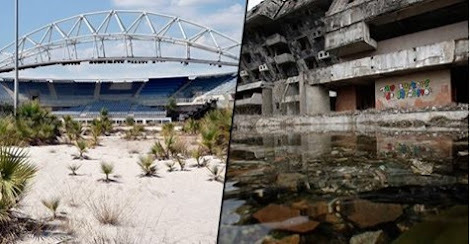 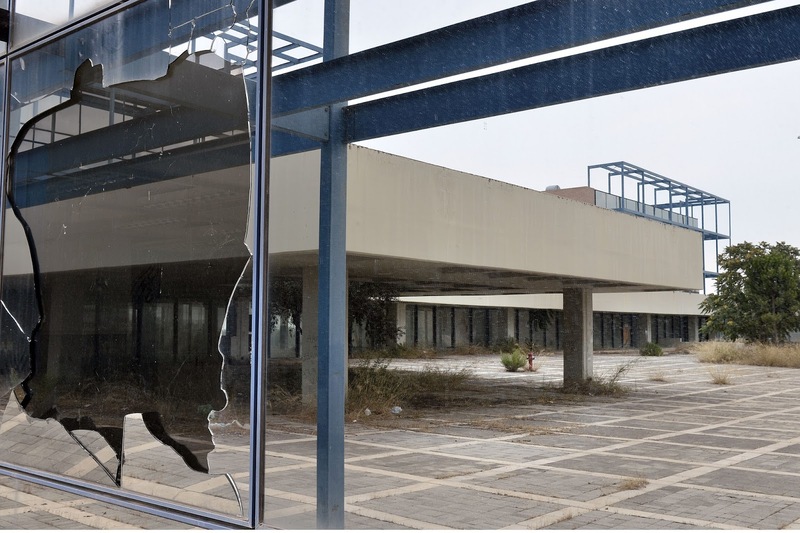 A series of eerie photographs of past Olympic sites have revealed the stark reality that the former glory of the Olympics games has been reduced to rubble by neglect, reports the Daily Mail. 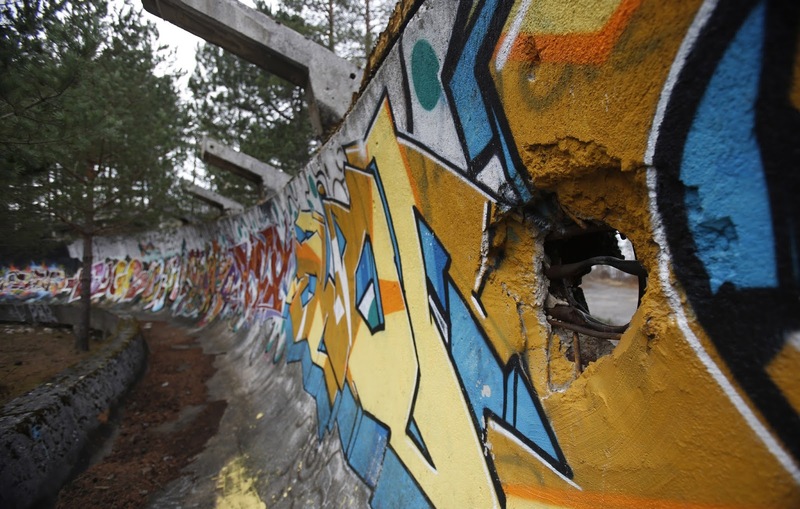 Photographs from Sarajevo, now the capital of Bosnia Herzegovina and site of the 1984 Winter Olympics, show the former bobsled run now repurposed and enjoyed as a downhill run by mountain-bikers. 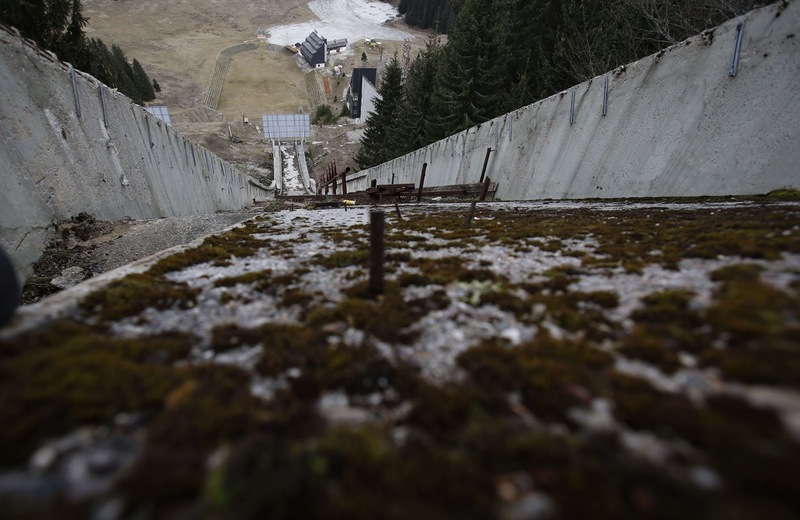 Also, the once impressive Mount Igman ski jumping course now threatens to collapse after years of neglect while one Olympic site is now used as a graveyard. 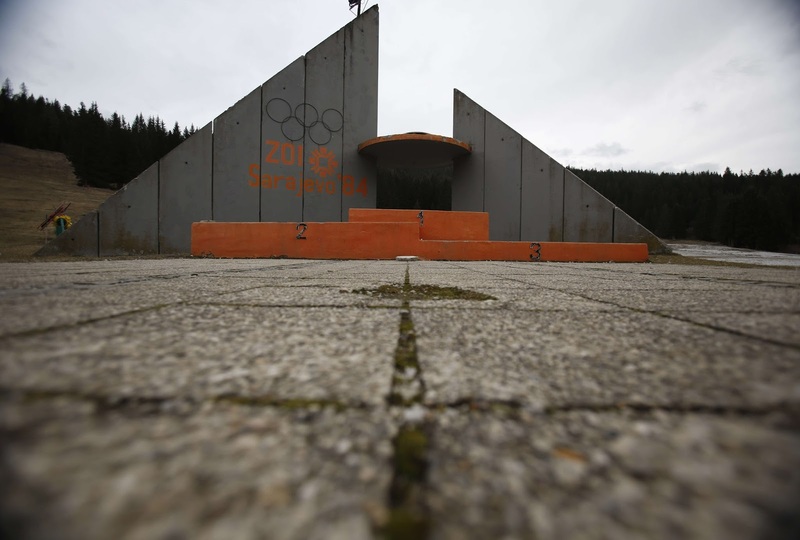 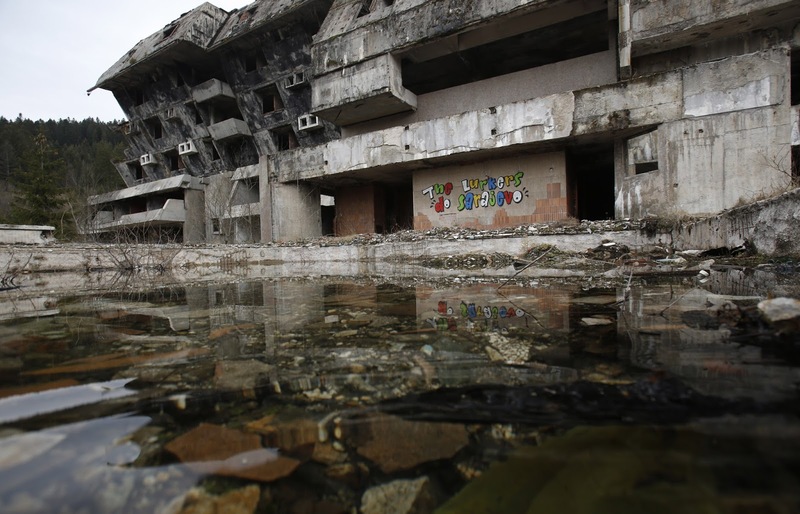 The state of the Sarajevo site is understandable – the games took place over 30 years ago and the country has been through a devastating civil war since then, but other, more recently used venues tell a similar story. 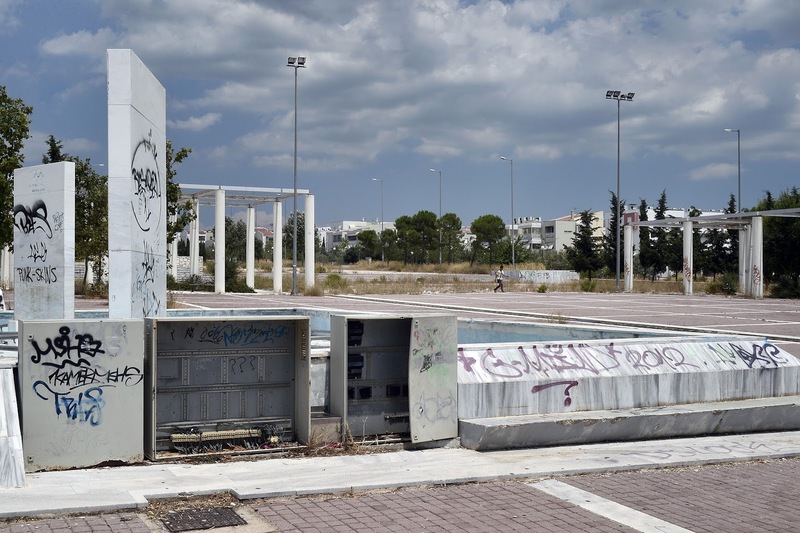 Stadiums purpose built for the 2004 Olympics in Athens show that – although approximately £7 billion was spent on hosting the games, the majority of the sites have gone to wrack and ruin. 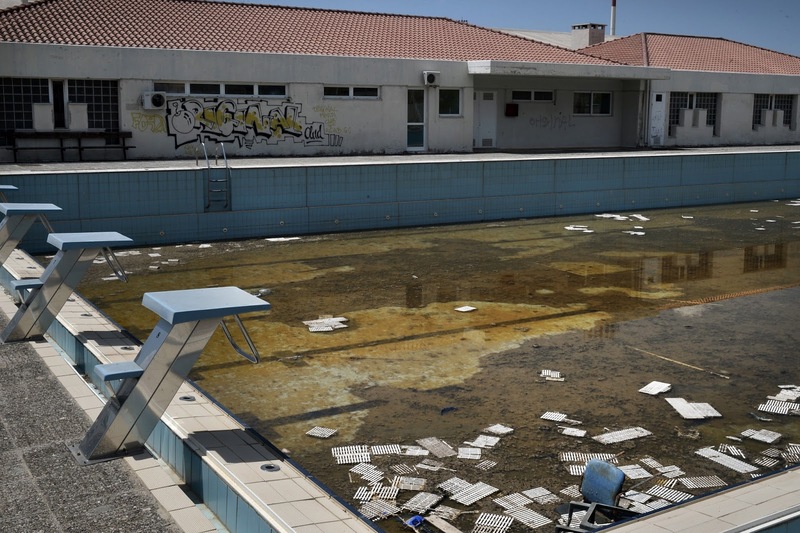 A swimming pool in the former Olympic Village is now filled with brown, murky water while the pitch of the Athens Olympic softball and baseball now resembles an area of wasteland – although it has recently been used as a shelter for refugees and migrants. 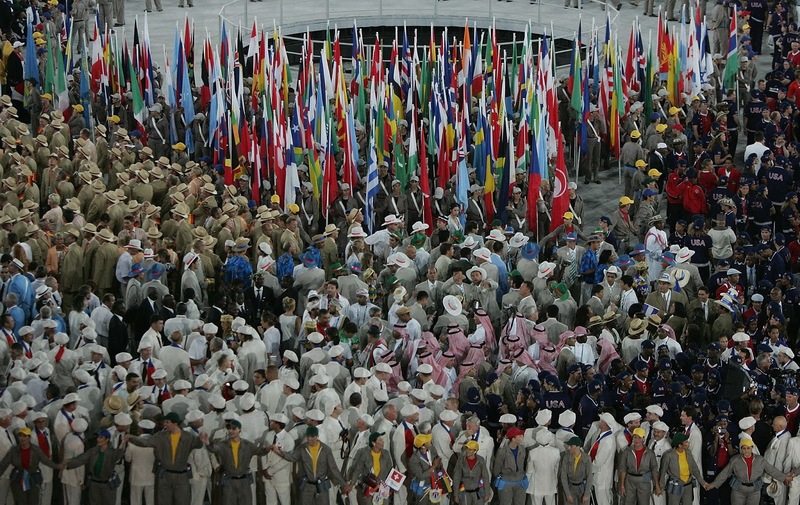 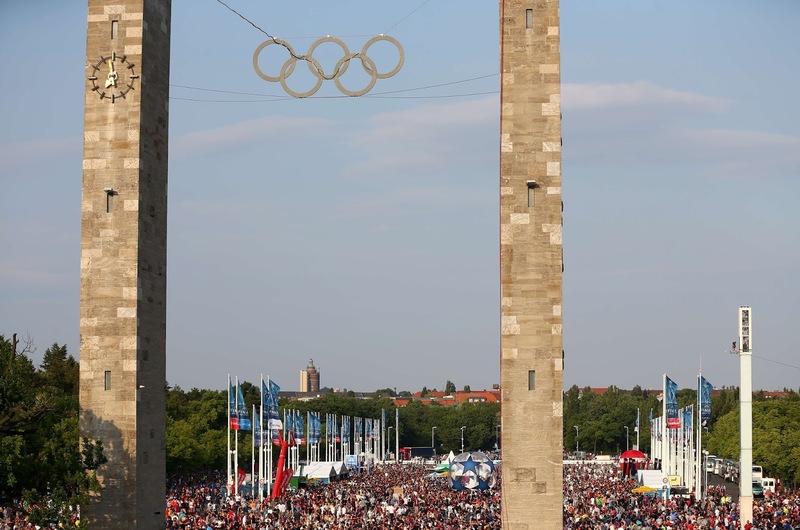 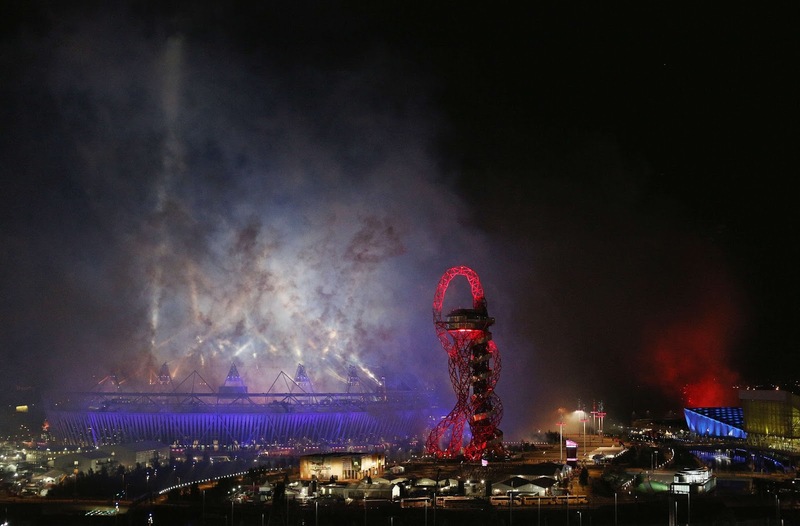 But it’s not all bad news for old Olympic cities. 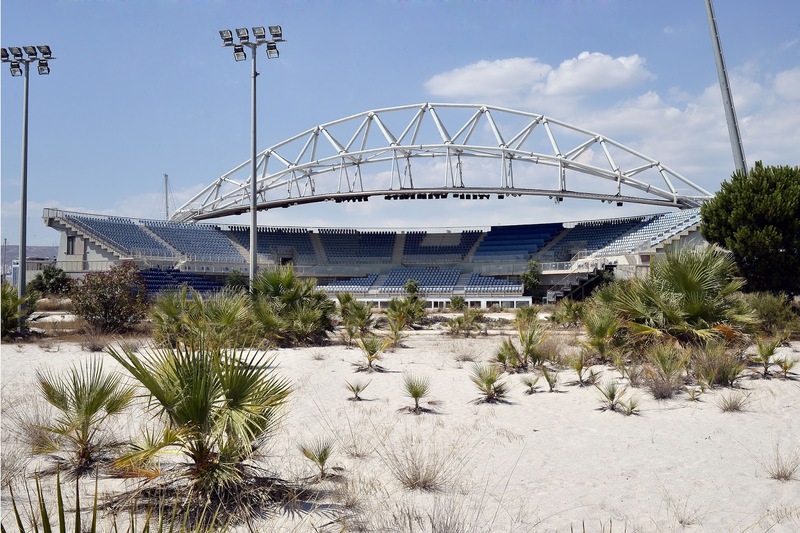 Barcelona, which played host to the Games in 1992 has repurposed the main arena as a football stadium – the home of Espanyol and the Olympic pool and diving centre remains in use. 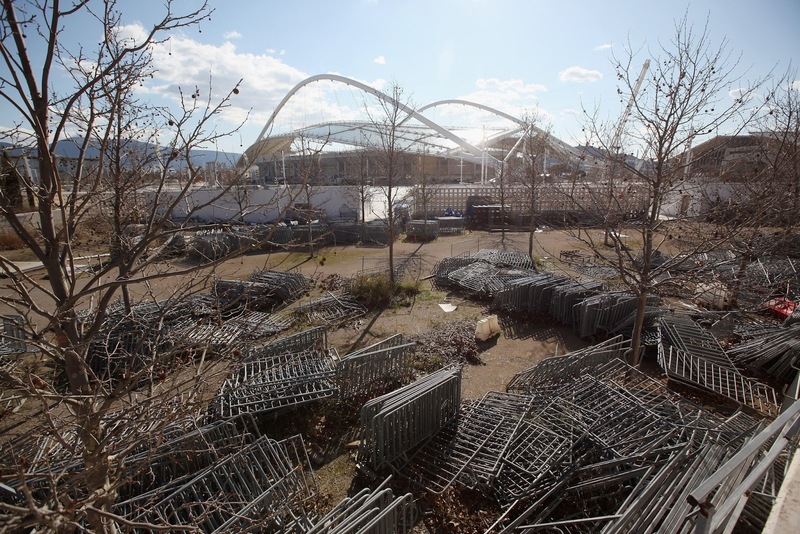 West Ham United have just moved into their new home – the London 2012 stadium – and some of the venues used during the 1996 Games in Atlanta have been repurposed as a nature trail.